The more frustrated you get, the more you want me. The more you want me, the more I dominate you. 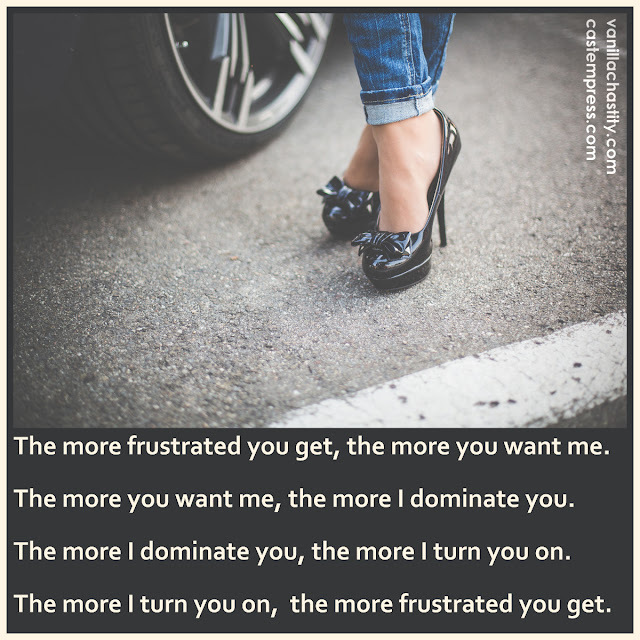 The more I dominate you, the more I turn you on. The more I turn you on, the more frustrated you get.